Berlin-based independent developer Happy Tuesday today announces that the competitive multiplayer update to their smash hit tower-defense-action-RPG hybrid game, Hero Defense – Haunted Island, will release on Steam as a free update on Friday the 13th of May, 2016. Players of Hero Defense – Haunted Island will be able to take each other on in a fast-paced, highly-competitive synchronous 1v1 multiplayer mode where a keen eye and strategy comes into play. 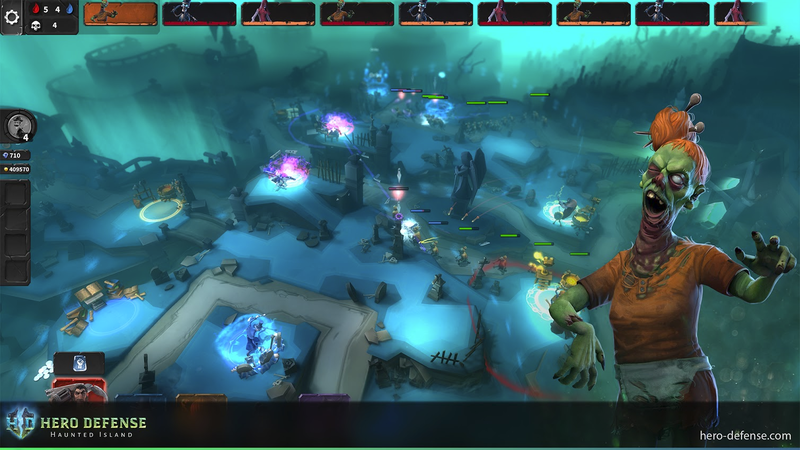 Each player must arm their five heroes with the appropriate skills and runes to best the opposing player, smartly maneuvering heroes to optimal locations on the map to combat waves of enemy creeps in order to protect their own barriers, and acquire magical orbs for additional offensive capabilities. Whoever eliminates their wave of undead creeps first can strategically dismantle their opponent’s defense though Punishments – the ability to customize the enemy’s upcoming creep wave, either via stat boosts or by swapping them for a different creep type entirely bested only by a specific hero. It’s each player’s goal to overwhelm their opponents by taking advantage of their vulnerabilities so that creeps can destroy their opponent’s barricade. Hero Defense – Haunted Island’s multiplayer update will also launch with three new maps (with a total of eight maps planned for when the game leaves Steam’s Early Access program later this summer). 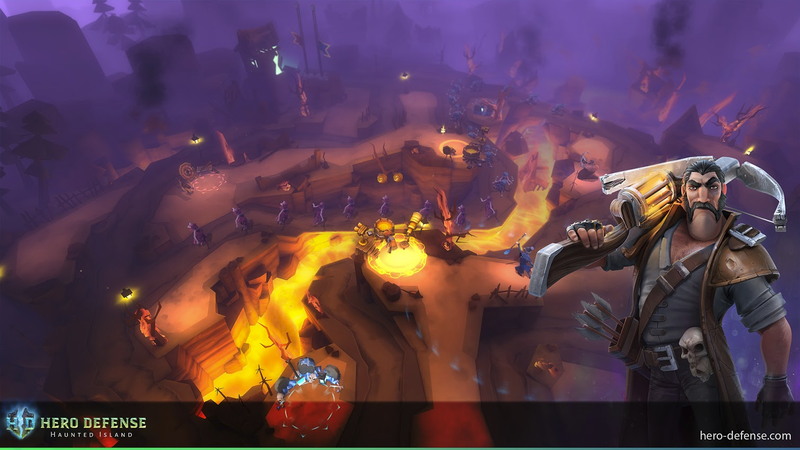 With the launch of multiplayer in Hero Defense – Haunted Island, developer Happy Tuesday will begin their first Multiplayer Season, a week-long event where players can compete in ranked matches to claim the title of ultimate champion. Multiplayer Seasons will be held each and every week from the release of the multiplayer update, and progress will be reset at the end of the season preceding the next.